Over the weekend, the following headline appeared: “Muslims Assault U.S. Embassy in Indonesia.” I read it in one place, but no doubt variants of it appeared in many places. And I doubt that many people gave it a second glance, so normal and ubiquitous was its phraseology. And yet, it is symtomatic of how Islam is routinely portrayed and percieved in the West. To repeat: there are 1.3 billion Muslims in the world, spread across more than a hundred countries. 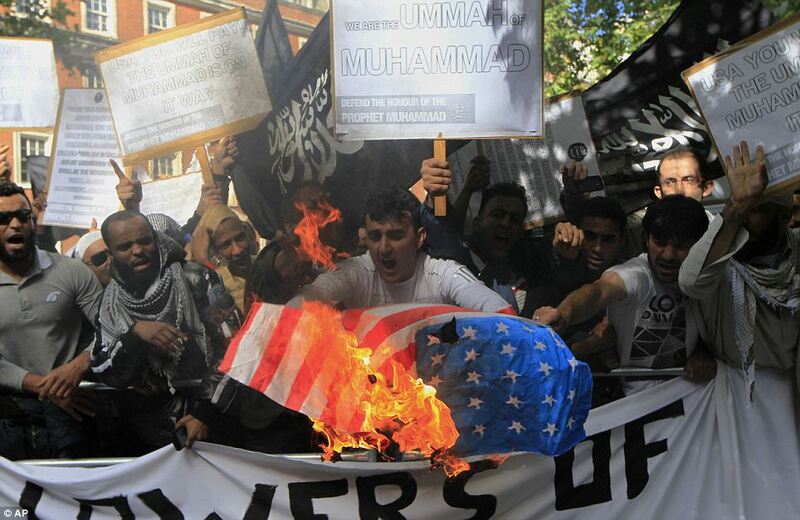 There are 200 million Muslims in Indonesia, where several hundred rioted in front of the American embassy this weekend. Thousands rioted in Nigeria, where several dozen people were killed. Indonesia is an ethnically complicated hodge-podge society, and political Islam is one thread among many. Nigeria has seen decades of tribal violence, often along religious lines, and just as often along ethnic lines that trump religion. Yet, those facts are invisible, and instead, the weekend riots are connected to form a matrix that says that Muslims are rioting and Islam is a religion in crisis. And yet, yet, we are much more able and willing to distinguish the actions of specific Christians from Christianity. For instance, during the strange Terry Schiavo affair (remember that ancient history? ), headlines did not read “Christians protest” or “Angry Christians Besiege Hospital.” In one sense, that was factually true, but we don’t say it that way because that implies that the specific people protesting represent that whole. Such shades of grey rarely exist when the Muslim world is the subject. Instead, it’s as if FoxNews has taken over all coverage of the Muslim world, and all discussion from left to right, and any attempt to put these events in perspective is shouted down, silenced, and ridiculed. Come on, goes the rejoinder, if Muslims are rioting in country after country, surely that says something about Islam, surely that says that Muslims in general are silently supporting the protests. These questions go unaddressed, and instead, prejudice about Islam passes for fact. Sadly, until exposed, prejudice always passes as fact. Prejudices and racism against black slaves in the antebellum South - “They’re lazy, stupid, etc.” - were not seen at the time as anything but value-neutral, matter-of-fact observations. Prejudice against Islam is similarly unexamined and unchallenged. To be clear: none of this excuses or apologizes for violence and terror perpertrated by Muslims, nor does it shift “blame.” Blame is easy; answers aren’t, but until we begin to confront the inherent prejudice against Islam, we will not be able to reduce the threat of terrorism and extremism emanating from parts of the Muslim world.